An introduction to a culturally responsive pedagogy, with examples of how to use hip-hop across the curriculum—including in math class. From Michelle Obama’s rhymed appeal to high schoolers to attend college to Ellen DeGeneres’s recent spotlight on second-grade teacher Michael Bonner’s transformative use of rap in the classroom, the use of hip-hop in education seems to growing. As a library media specialist, I started using HHBE in my instructional practice in 2004 to connect my students’ interests and culture to curriculum content. I’ve used Tupac’s autobiographical poem “The Rose That Grew From Concrete” to teach students how to analyze poetry, and the young-adult novel Hip-Hop High School was added to our summer reading list to help students increase their SAT vocabulary. The combination of SAT words, hip-hop, and pop culture references made this novel the most-requested and most-read book for summer reading. And I’ve used Alicia Keys’s spoken word piece “P.O.W. (Prisoner of Words)” to spark students’ creative writing and help them gain an appreciation for the power of words. Why is teaching with hip-hop effective? It’s all about creating meaningful connections for students. Hip-hop pedagogy is a “way of authentically and practically incorporating the creative elements of hip-hop into teaching, and inviting students to have a connection with the content while meeting them on their cultural turf by teaching to, and through, their realities and experiences.” When a curriculum does not reflect the culture, interests, and realities of youths, they lose interest in learning and school. This disengagement often contributes to poor grades, behavior issues, and students dropping out of school. Active engagement is a catalyst for student achievement. An education professor draws connections between critical skills and hip-hop culture, and argues that there is no crisis in black education. We’ve even used hip-hop to create math projects that connect students to real-world questions and challenges. Recently, I co-taught a hip-hop lesson with one of my math teachers. We utilized a lesson from Hip-Hop Math: Conquering Word Problems. In this lesson, students had to solve a scenario-based math problem about Kendrick Lamar. They looked for patterns in Lamar’s Twitter retweets to identify a pattern of growth and determine the increase in his Twitter fan base. Afterward, students created a multimedia explanation using SWAY to justify their response. Every year, I also teach a variety of lessons related to the ethical use of resources and the importance of being a responsible digital citizen. I used a PBS LearningMedia lesson on hip-hop sampling to develop students’ understanding of why we need to respect the intellectual property of others and how to do that. In these lessons, students defined the idea, purpose, and impact of copyright, fair use, and plagiarism. They also honed their understanding of how to ethically use information. 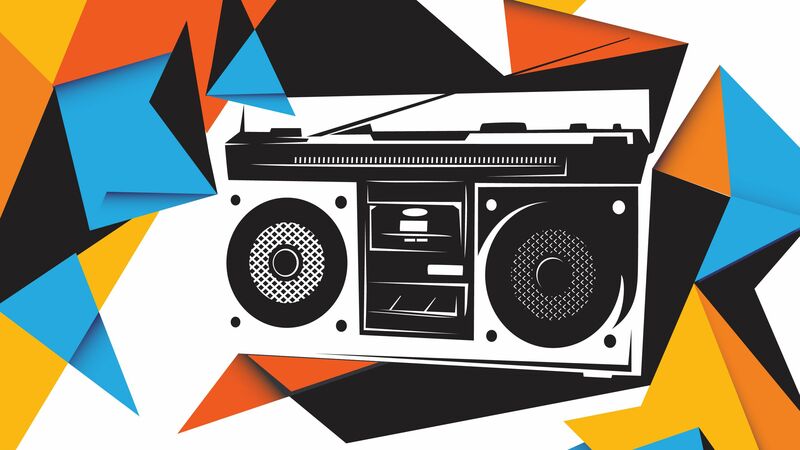 Discussion of hip-hop sampling not only allows for conversations about digital literacy but also serves as a springboard to engage students in creative writing and producing digital media. One year, during my annual hip-hop day in the library, I even had a Flocabulary artist Skype with my students to discuss the significance of reading, writing, and research when composing hip-hop lyrics. HHBE can be infused in all content areas and grade levels. Whether you’re new to using HHBE in your instruction or looking for some new ideas, remember that it’s less about using hip-hop culture to teach, and more about using HHBE as a culturally relevant pedagogy to foster student engagement and promote student success.